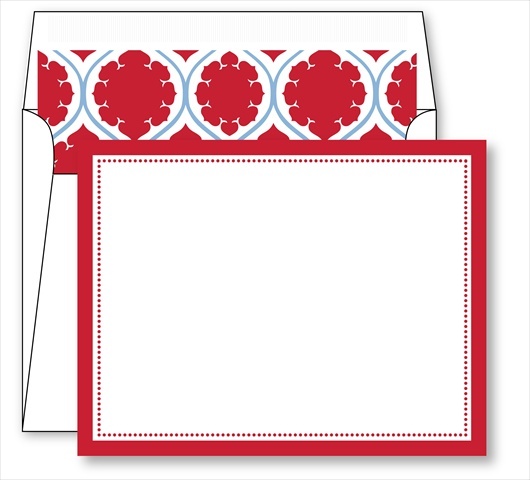 These small 4.25"x5.5" flat cards with a splash of pattern on the front are great for personalizing. 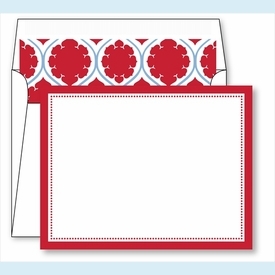 Each card features a full pattern printed on the back and the envelopes are hand-lined in a complementary pattern. Personalization will be centered at the top unless you specify otherwise. This is a drop-ship item from our supplier FOB Dallas, TX; if you are ordering personalization, please allow 1 week extra for us to receive product.